Whether or not my absence from the real world and the social media has been notable or not, I do not know, but it has been quite real. If the truth be told, I have struggled know how to live in this world…to know how to engage it, and perhaps furthermore, to have a desire for this world. Yet, fate has ordained a final treatise on the subject, and so it begins. One year ago, today, a final nail was driven into a casket holding all one’s hopes, dreams, faith, and love. In 365 days of toil and struggle, grasping about blindly and alone, I’ve searched for something–anything to which one could cling. Something certain. Something constant. Something sure. In the darkness, I have not always found what I was looking for, but I have learned lessons. Lessons that could never repair the irreparable but that could perhaps lead one to accept all that the universe has to offer. The good. The bad. The glorious. The deplorable. Lessons that could never change a life but that perhaps could change a mind. Two weeks ago, I stood, surrounded by a crowd of nearly 20,000 people. The temperature was adequately below freezing to the be main subject on every lip. The stage was set for the Columbus Marathon, what would be my final race of the year. It would also be the last of a grueling 22 day circuit. In the preceding days, I had already tackled my first marathon and my first 50 mile ultra marathon. Now was my shot to set a final PR for the year. The first time around, I came up short of the 4-hour mark for my marathon. This time, I was dying to break it. The big challenge? 26.2 miles at 28 degrees. As races often go, the first miles were less than memorable, aside from a bottom lip freezing and me rethinking opting to run in shorts. I thought it would warm up along the way, but it wasn’t until mile 9 that I shed the fleece I was wearing. I was pacing solid sub-9-minute miles all the way. As we broke into the double digit miles, I started shouting random encouragement to my fellow runners. “Ten down! Twenty more!!! Let’s go!” Everyone was so amused. The diversion helped the distance fly by. As the half marathoners turned away at mile 12, I started saying goodbye. I may have asked them to save me bananas as well. And to those who kept on for the full marathon, I said, “That was fun, let’s do it again!” All went well until around mile 17, when my ankles went out. I’ve never really had ankle problems before, but I remembered they’d swelled a bit after the 50 miler. Maybe it was too much. My pace dropped from sub-9 to over 11. I fought through it for another 2 miles. Every push off and every footfall became more unbearable. I begged my body not to stop. As I was hobbling on, two ladies called out to me, “You can make it! You got us going back there. Come run with us? Just a mile.” I did. One mile closer. Again the pain became unbearable and again I slowed to a faltering limp. I knew my hopes of a sub-4-hour finish were dead. And I made my peace with it. They’re just numbers. They don’t mean anything. We arbitrarily ascribe meaning and purpose to things. If there’s one thing running has taught me, it is this: How you finish is irrelevant. How you commit and invest is paramount. 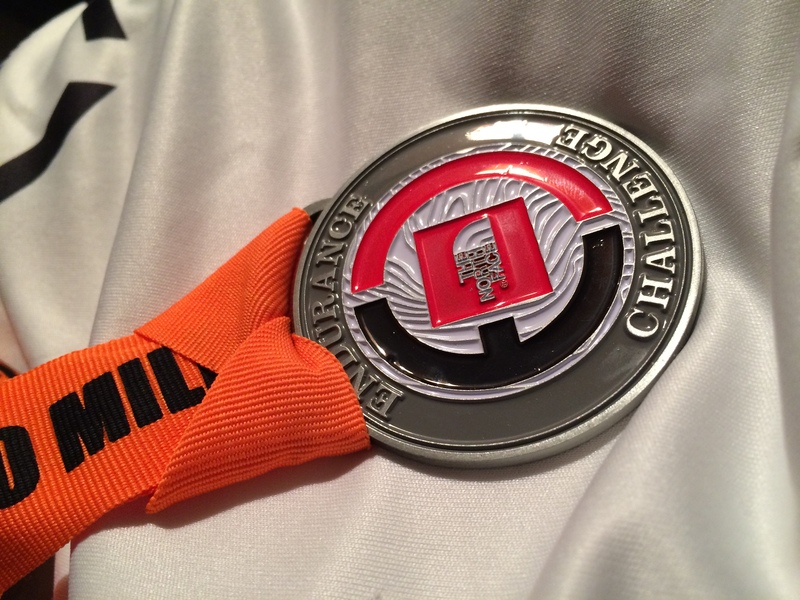 I made my peace with my investment in the race and my commitment to the finish, and though I came in well beyond the 4-hour mark, I had a more enjoyable and fulfilling time than I ever imagined possible. And that is the lesson. Commit. Invest. And let that be enough. Some of you may know of my obsession with the perfect music for every moment. I guess it comes with being a filmmaker. You’ve got to have something for every shot, every scene, every emotion. Over the past few weeks, one song in particular has stolen my soul. The artist “Sleeping at Last” moves through the cosmos on one album, and the track written for Saturn is ethereal. Something about the description of the courage of stars. How light carries on endlessly, even after death. It’s stayed in my mind. A hundred million miles away, a star dies, but its light carries on, through space and time forever. And here, as we see the beauty of a twinkling star, we can know for certain, it died long ago. But that doesn’t make the night sky any less beautiful. It just reminds us how rare and beautiful it is to even exist. Nowhere else have we found life. The life we have is not always wonderful or perfect. Sometimes it’s harsh, ugly, and painful. Nevertheless, it is rare. And because it is rare, it is beautiful. And that is the lesson. Life is rare–and beautiful. And even in death, light carries on. Endlessly. Today, I was out running trails. Weekends have been my designated time for long runs. An open trail is my sanctuary. It’s been a difficult week, and even driving out to the trail head, I was intermittently on the verge of tears. On the trails, I was alone. I’ve so often found myself alone as of late. As desperately as I have often wished to be accompanied, in the silence and solitude, I see things I’ve never seen before. Ten miles down the trail, I was doubled over, uncontrollably vomiting what little sustenance I had brought along for the journey. There’s something about those moments before it comes. You know it’s coming. You feel it. It started with the feeling of salivary glands priming the mouth and throat for what was coming. I stopped running. I knew what was coming. Next was the tightening of the abdominal muscles, a visceral seize. But we fight it. We try to hold it down. We try to keep it in. I’ve done it many times. Today, I didn’t. I let it happen. Once. Twice. I stood upright again. I took a deep breath. A third time. And then, at last, I could breathe. And then, at last, I could keep moving. As I continued making my way down the trail, I started to reflect over the past year and that past moment. We spend so much of our lives fighting what is natural for us because it might be unpleasant for us or for others, because people just won’t understand, because it’s not socially acceptable. We hold on to things because we don’t know what would happen if we let go, because we’re afraid to lose something, because the unknown is absolutely terrifying. Just as the telltale signs made me aware of what was coming, we know, at some point, what lies ahead. All our denial, all our fighting, all our holding on is as useless as a pebble trying to halt the returning tide. I realized, finally, it’s time to stop fighting. It’s time to let nature have it’s way. And that is the lesson. Nature has a way of correcting itself. It is natural. It is necessary. And as unpleasant as it may be, we need not fight it. Down the trail, mile after mile, all my eyes could see–the definitive signs of autumn. Some trees clothed in the ever changing brilliance of foliage and some standing naked in the breeze. It’s breathtaking. It’s captivating. It’s death. The leaves are cut off from their life source. The chlorophyl that once filled them disappears. Where once was green, the remnants of glucose and other deposits infuse each leaf in a brilliant display. The final act. As the nutrients cease to flow, the leaf fades until the connection is entirely severed. It’s heartbreaking. It’s beautiful. They fall to the ground without a word. In silence, they decompose. The remnants remain to feed a new life in the spring. And that is the lesson. Alienated from the source of life, disconnected from sustaining power, dying, one can still bring beauty, and in departing, give life to another. The reflections of the past hours, days, and weeks have been humbling and liberating. To have been committed and invested, to have given your all is enough. More than enough. Life is rare. Life is beautiful. And the light of life carries on. Endlessly. Nature has it’s way, and we need not fight it. In letting go, there is release and relief. In final moments, beauty will be found by those who are looking. What more can we ask for than a life, an existence, rare, and yet surrounded by wonder and beauty? There is no greater glory in life than to have beheld the miracles, the wonders, and the beauty of a vast universe. There is no greater honor in death than to have given your all and, in departing, to give a final beauty back to the universe. The muffled serenade of the thousands of fluffy feathers was rudely interrupted by the blaring of three separate alarms. Three o’clock in the morning. Dyenna, Ben, and I were awake. We all simultaneously turned over to silence our phones. Then there was a moment of silence, as none of us wanted to exert any further energy, and yet we all knew that getting out of our beds would likely be the easiest part of our day. For each of us, it would be a day of firsts. 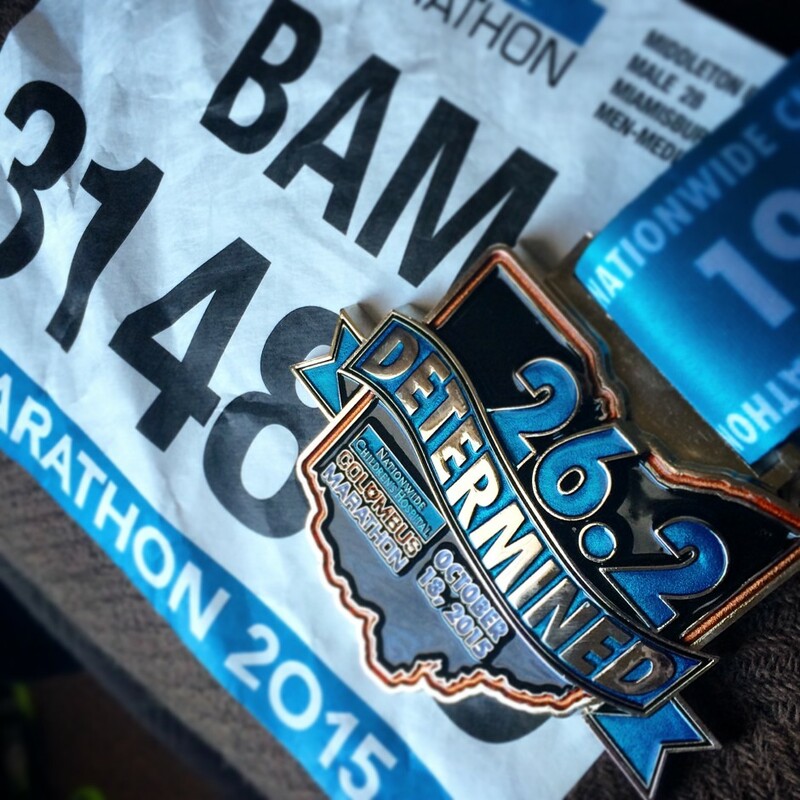 For Ben, it was the day of his first marathon. 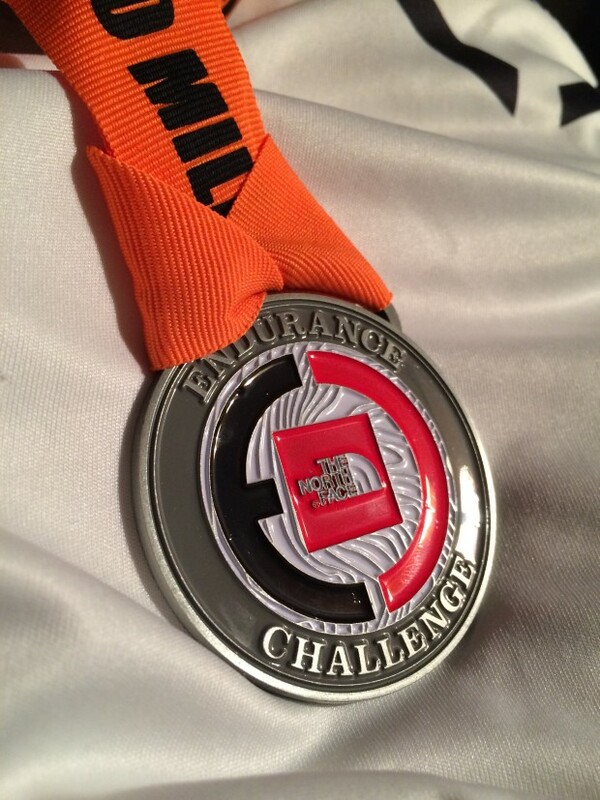 For Dyenna and I, it was the day of our first 50-mile ultra marathon. I lay there, thinking of what foolishness had led me to this moment. 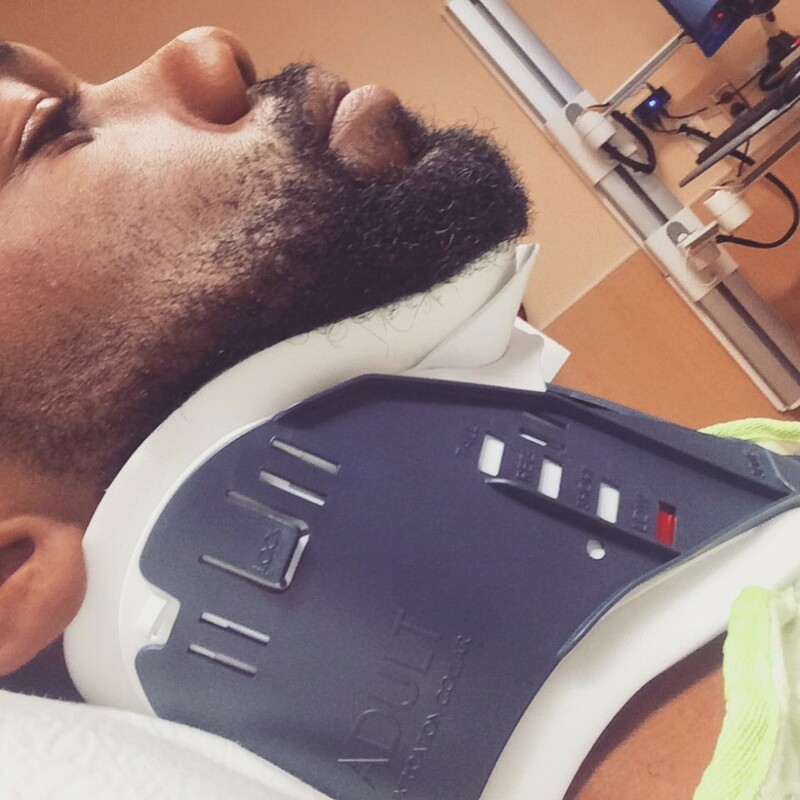 Twelve days earlier, I was laying on my back in the emergency room, immobilized by a neck brace, as doctors attempted to determine the extent of damage to my neck and whether or not my brain was hemorrhaging. The day before, two points away from my team being crowed three-peat champions of The Wright Wing Conspiracy Ultimate Frisbee Tournament, something terrifying happened. As I was bolting full-speed downfield, someone accidentally took out my legs. Flipping through the air, I landed entirely on my neck and was instantly paralyzed. I’ve been injured many times in my life, but never have I been more aware of the abject terror of onlookers than at that moment. While I couldn’t feel any part of my body besides my face, I could feel the fearful concern of everyone else. “Don’t move him! Don’t move him!” people were shouting over and over. “Are you ok? Just don’t move!” I was just trying to breathe. And I had a sudden urge to move, but I couldn’t. My concern started to grow as I couldn’t feel anything besides the hand of someone gently yet firmly holding my neck and the side of my face. My concern began to swell along with theirs. Finally, feeling returned, a throb beginning at the side of my head, running down my twisted spine and into my legs. It hurt desperately, but it was a reassuring kind of pain. Slowly, we established my ability to control motor function, and they helped me to the sideline. A few hours later, I was suffering some of the greatest pain I’ve had in my life. The room was spinning, and there was nothing I could do to stop either that or the throbbing pain emanating from the subdural hematoma on my temple. I never go to hospitals or doctors, but after a night of fighting it, I finally went to the emergency room. As doctors deliberated over the results of the CT scan and radiology, I began wondering if I would be able to actually complete my first full marathon, which was scheduled for that weekend. When the doctors explained to me that I was suffering from post-concussion syndrome and that there was nothing they could do besides prescribing anti-inflammatory drugs and ordering me to cease and desist from contact sports for several weeks, I breathed a sign of relief. I told them I was running a marathon in five days. They didn’t seem thrilled with the idea and advised great caution. 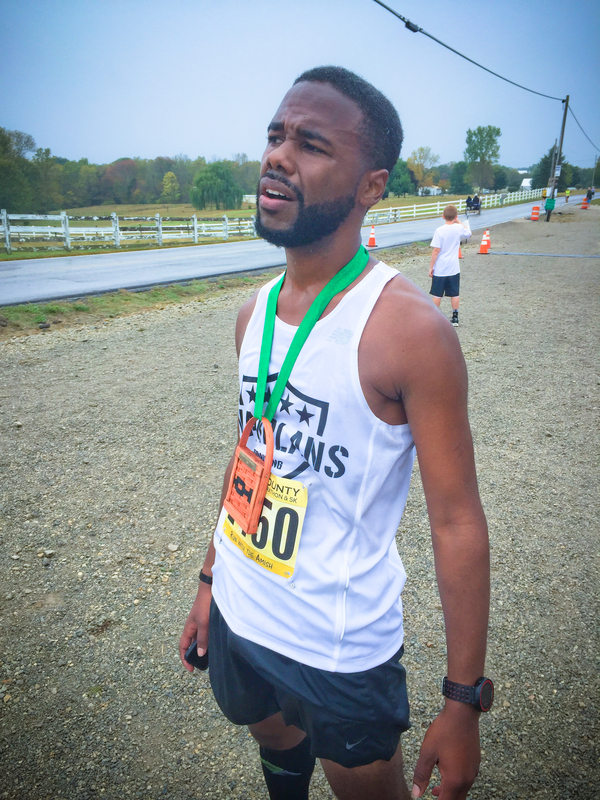 I exercised a moderate amount of it, and managed to finish my first marathon in just over 4 hours and 2 minutes (Read More). Now, a week after crossing the finish line of my first marathon, I was about to embark on my first ultra marathon. Three A.M. I grudgingly slung my legs over the edge of the bed, attempting to inspire them for the journey ahead. Within the half hour, we were clothed for the crisp fall air, and were heading out with Chris and Nahum on our drive to the start line. I started to question if I would be warm enough as the gusting wind bit through my leggings and shirt. As we milled around the small fires by the start line, everyone seemed to share a “what was I thinking” sentiment. There was little time for regret or second-guessing left as the first wave departed. And then it was our turn. Headlamps on, hydration packs filled, and legs ready to shake off the cold, we started out. 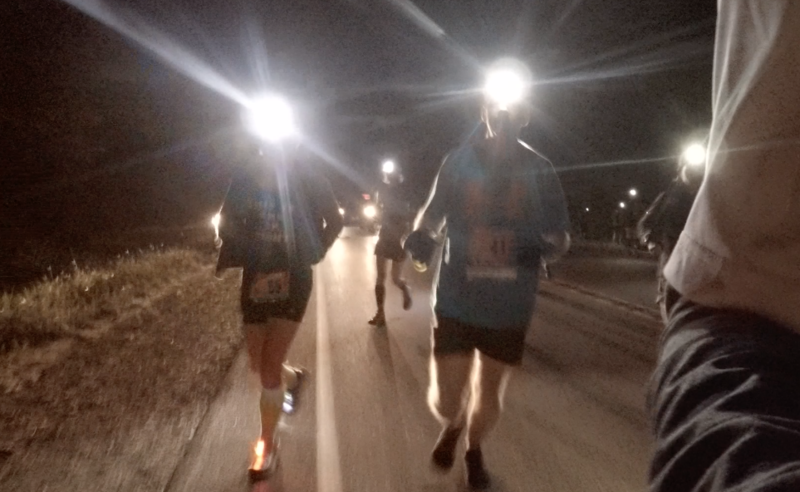 The first mile was a blur of calves, rocks, and the flickers of light moving everywhere. I was feeling good. It was too easy. Then the humbling thought passed that there were still 49 miles to go. As the first aid station came into view, I felt like I could finally believe I had accomplished something. I consumed the first of what would be a great many peanut butter and jelly sandwiches–the best I’ve had in my entire life. I must say, running in absolute darkness was something fairly unfamiliar to me. At most maybe I’d catch 10 minutes in the dark during a sunset run, or maybe 20 minutes in the middle of a sleepless night, but today it wasn’t until after approximately two full hours on the trail that the sun began to rise, and even though it was fairly overcast, it made a world of difference. As the day began to brighten, and the miles of trails wove their way through the woods, we found ourselves holding a steady enough pace to ensure we wouldn’t be pulled from the course for failing to make the three hard cutoff times. Choruses of “Everything is Awesome” made the hours melt away. The first record to fall was the four hour mark. Never before had I spent so much time in constant forward motion. Just like the week before, about 16 miles in, I started to cramp up. Dyenna pulled a couple of salt pills from he pack and gave them to me. It was like magic. Within a minute or two, the cramping faded away. I started to make it a regular habit to salt up at every aid station we passed. They had these cooked potato slices on one plate and a bunch of salt on another. I’d dip the potatoes in the salt…sometimes so much it was like getting punched in the tastebuds, and I’d wash it down with some electrolyte drink. I have to say the aid stations were pretty amazing. You’ve got to love knowing there is a ready supply of skittles, m&ms, potato chips, and other tasty junk waiting to take your mind off of your aching body just a few miles ahead. Thinking about the miles is enough to make you want to quit, so you can’t let your mind slip. Just eight days earlier, the most I had ever run straight was 15 miles, and now I was attempting to tackle 50. The miles will drive you crazy if you let them. We had some pretty unique techniques for distracting ourselves. It seems mine was to spontaneously burst forth, singing a classic piece from any number of musicals. 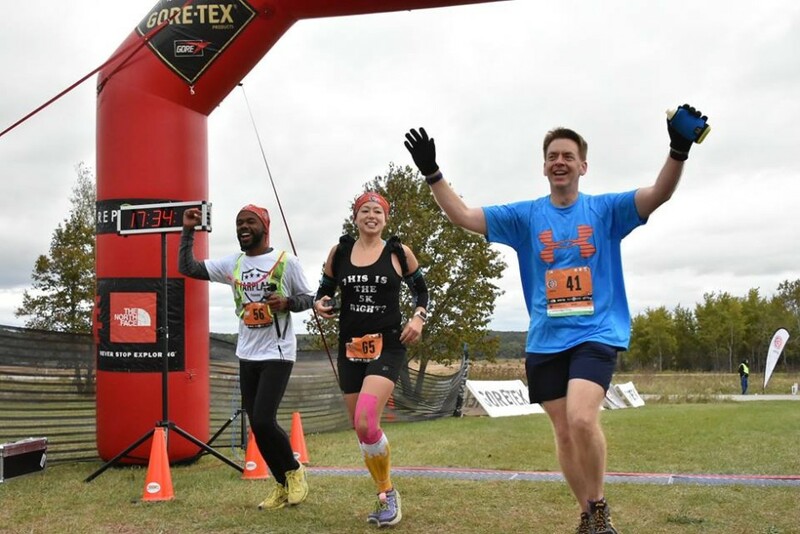 The Sound of Music was my top hit, creating my own adapted ultra marathoner specific rendition of “My Favorite Things.” I think just about everything got play…My Fair Lady, West Side Story, The Phantom of the Opera, State Fair…you name it, we sang it. The other grand thing was holding mini-celebrations for each major milestone. The next to fall was at the 26.21 mile mark. With a few cheers, we knew we were more than halfway there, and I officially joined the ranks of the ultra marathoners. Ahead yet remained the worst of it. For the longest time we had been running through the woods, but as we passed 28 miles, we found ourselves in the middle of wide open grasslands. The first few minutes feel so liberating, but the part you don’t think about until you get there is that it’s a lot harder to gauge progress. In the woods, every twist and turn in the trail is hidden from sight until the last moment. In the fields, you see everything, and you never get there. It really started to get to my head and my body at the same time. The secret to making it is to have strength in your mind or in either your body at all times, and one will compensate for the other. I wasn’t cramping. Everything just hurt. I looked ahead, and the gap between myself and my three compatriots on the trail was ever widening. I stopped. As the distance increased, one looked back at me and saw me. I knew the were hurting too, and I couldn’t just feel sorry for myself. Granted they’d all done ultras before, and I didn’t even become a marathoner until the week before, but out there, we were all the same. I stepped off the trail to water some flowers. Meanwhile, I’m trying to psych myself back up. The body wasn’t feeling it. I had to at least get my mind back. And finally I got it. Back on the trail, I tried to pick up the pace a bit. When I’d caught up to them, I tried to give a tough smile as they looked for some reassurance that I was ok.
With much ado and huzzah, we celebrated the 30 mile/50 kilometer mark. Somewhere along the way a new game emerged. There was a little cluster of runners we kept encountering. We’d always pass them about midway between aid stations. We always took our time when we arrived at the stations, and they would always catch up, stop for a moment, and keep running on. Each time we would overtake them, Chris would pull up a random song on his phone, and we would blast it as we passed them. My all-time favorite was “C is for Cookie.” They made our journey so much more enjoyable. You definitely meet some of the coolest people in the world out there. Our little game of cat and mouse was wonderful. As we passed the 40 mile mark, my feet started to hurt so badly. I guess the simple reality is that, no matter what kind of shoes you’re wearing, 40 miles of footfalls will take a toll. My legs were finally feeling ok though. The strength was with the body, while the mind was ready to curl up on the side of the trail and die. It may sound dramatic, but go run for 40 miles and you’ll see I’m not making it up. My legs kept sending a message up to the control center, “we can run faster than this.” The notification reached the mind, and the ignore button was promptly pushed. Five minutes later, another message sent. “Why are we not going faster?” Ignored. It was the strangest battle I’ve ever had. Those last miles felt so grueling. Chris, Dye, and I would trudge up the hills. Reaching the top, we’d look at each other, and someone would say, “Gravity?” And we’d start running again, down the hill and across the flats to the the next hill until it hurt too much to continue. Slowly we’d trudge up the next one. In those last miles, we passed the sweeper for the 50k. He wasn’t alone. There was a woman toiling along, trying to keep pace and not be pulled from the course in the last 5 miles. It didn’t look good. She was a big woman. I don’t say that disrespectfully. I just mean, if you saw her on the street, you’d never imagine her being this close to completing a 50k. It makes you realize that despite what the exterior may seem to tell you about someone, deep inside of them may still be a powerful measure of greatness. As we passed her, we called out encouragement to her, not knowing if she would ever make it. But that didn’t matter. What mattered was that she was fighting–still fighting–one painful foot in front of the next. That truly inspired me. When we came to the last aid station, everything hurt. For the first time in my life, I was chaffing. I gladly availed myself of a liberal amount of vaseline, which was sitting on the table. We left that table with some reluctance. We knew we were basically there. Just a few miles more. And we knew we weren’t in danger of missing the cut off time. We just didn’t want to move anymore. We ran as best as we could. Even a slight uphill was exhausting. Gravity. Never in my life have I been more aware of it. But somehow, after more than a solid 12 hours on the trail, the finish line came into sight. And as always, there was a little bit left inside. In my best impersonation of Rick Flair, I let out a howl. The walk turned into a shuffle. The shuffle turned into a run. It wasn’t pretty. It wasn’t fast. But, side by side, we crossed the finish line. Fifty miles. Twelve hours. Thirty-three minutes. Five seconds. The feeling of elation and exhaustion is far beyond my limited ability to describe or express. I can only say, it was unlike anything I have ever experienced in my entire life. I stood there in the finish line area, my body entirely unable to comprehend or process what had happened over the course of the day. As I was grabbing some burgers to stuff my face, I saw the woman who had been struggling to try to make the last 50k cutoff time. We asked her how it went, and with the biggest smile beaming across her face she said, “I made it…in a van.” I remember a part of my heart sinking for a moment. I can only imagine how badly she wanted to cross the finish line, and how close she had come, but as I looked into her eyes, they were radiant. “I went farther than I’ve ever gone before!” she continued. I was instantly humbled. Never have I seen someone handle disappointment with such genuine grace and beauty. Of all the things I saw and heard over those miles and hours, that one thing pushes to the front of others. Sometimes we can get caught up in speed, finish times, and bling. It’s so easy to do because that’s how society conditions us to experience the world, but if there’s one thing I’ve learned from my first venture into ultra marathons, it is this: success isn’t about time, distance, or speed. It’s all about heart. It’s a journey, and not a destination. It’s a process, and not a result. It’s an investment, and not a dividend. It’s not one against the wind. It’s about what we can all accomplish together when I can take all of my heart, body, mind, and spirit, and combine it with yours, and together we struggle, together we fight, and maybe we even cry, but finally we overcome and prove to the universe what greatness dwells deep within us. Whether or not someone drapes a medal around your neck, whether you’re first, or last, or never cross the finish line at all, the fact that you all had the heart to start and you gave it the best you had is enough.